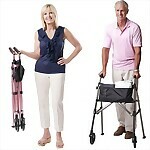 The ultimate lightweight, portable walker for stress free traveling! 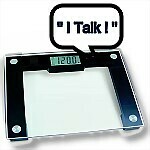 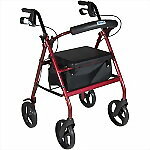 It weighs less than 8 lbs, but supports up to 400 lbs; and with the lift of a finger, it folds 4x smaller than your average walker! 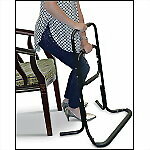 This support rail includes a sturdy ladder-like design that provides hand-over-hand support to rise up from a seated position. 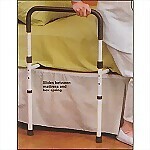 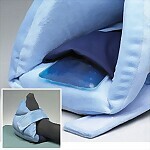 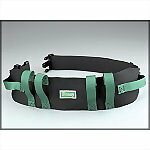 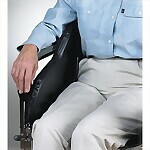 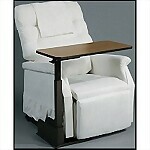 Ideal for getting up from chairs, couches, up off the floor, out of bed & more. 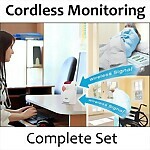 This simple to use economical fall alarm monitor includes a 10" x 30" pressure sensitive Bed Pad to provide and affordable and effective wireless monitoring solution. 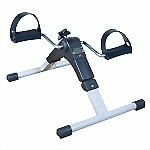 * SAVE 15% + Free Shipping Tool-free and easy to assemble bedrail support handle includes additional leg supports for added safety and an approximate 20" wide soft, foam handle. 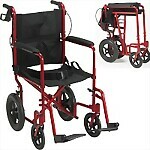 Lightweight Aluminum Rollator features one-handed folding, 7.5" wheels for indoor or outdoor use, loop-lock hand brakes, comfortable padded seat & removable backrest, and more.